Gain the power to steer the process in your favor. 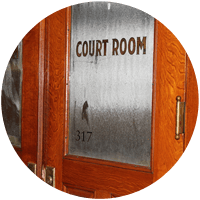 Many cases these days don’t go all the way to a jury trial; but even with alternatives like arbitration and mediation, you’re still ultimately trying to convince someone of the merits of your case. And studies have shown that despite being professionally trained experts, arbitrators and mediators can be just as biased as jurors. You’ll need a clear and concise way to communicate your arguments and tell an effective story. Like with a mock-jury setting, we find surrogate arbitration panelists to clue you in on what could happen in a binding arbitration. Their feedback, along with our analysis, helps you refine your arguments, prepare your witnesses, and adapt your messages to the arbitrator’s point of view. In the case of a mediation, having a fleshed-out understanding of each side’s strengths and vulnerabilities gives you leverage as you communicate your position to your opponent. Be ready for the specialized demands of arbitration and mediation.